Over the last 38 years, Dino and Cindy DiFlavio have created a small dynasty in Regent Square (the neighborhood made up of Swissvale, Edgewood, Wilkinsburg and the City of Pittsburgh) by hard-work and some well-timed opportunities. opportunity when they bought the store property which also housed a beauty shop, auto mechanic and apartments. The basement level and first floor space have since been consumed by the beer business and, most recently a new addition allowed for a new loading dock and system. When Beer World opened in the 1990’s on North Braddock Avenue in Point Breeze, the business took a hit. Both men had young families and Sam made the decision to leave the partnership. Dino expanded from retail sales to include tavern business. 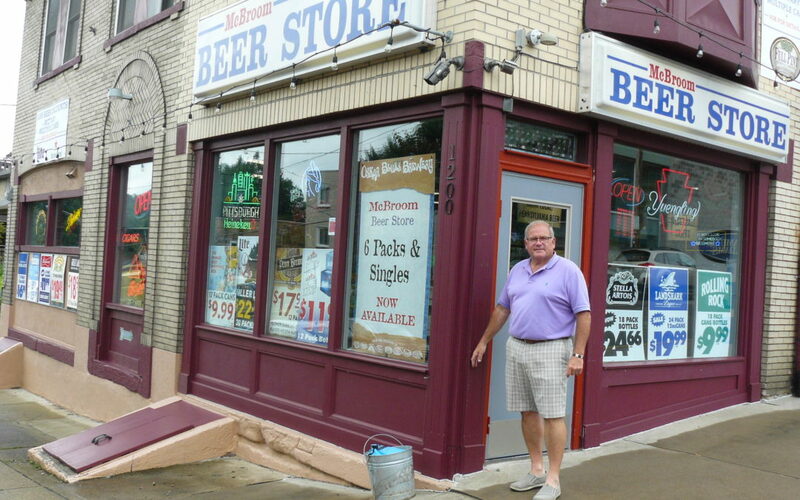 Soon another opportunity came along when a second beer distributor, Swissvale Beer, went on the market and Cindy purchased it. Eventually that business was closed and the license was sold. On a trip, opportunity knocked again when Dino and Cindy found that the Chicago-style hot dog and different types of beers were really popular in that city. As Dino says “trends come to Pittsburgh last” and they could bring single-sale imported beers and premium “dogz” to the “Square.” At the time, liquor licenses stayed within municipalities and Cindy was able to buy an available license from a recently closed bar (Virgil’s) in Swissvale to open D’s SixPax and Dogz at 1118 South Braddock Avenue (www.ds6pax.com). They were also ahead as the trend from imported to craft beers emerged. The idea for D’s was to have a family-friendly place. 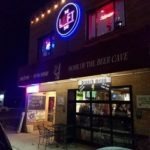 As the beer (and root-beer) bar and restaurant were designed, the grill was placed behind the counter and the beer cave was born and now has more than 1,000 kinds of beer. Over the years, expansion to the next building made for a bigger kitchen with pizza ovens and for additional seating with al fresco dining (thanks to a garage door front wall that’s open on nice days) where you may also see strollers parked in the walking community. On the second floor, The Loft was opened that includes a smoking room. A real estate opportunity arose and the couple now has a retail/apartment building in the Square and the latest opportunity is the new food truck, Road Dogz, that just hit the road this summer. Together the businesses employ 40+ people including the DiFlavio’s two grown sons. The businesses take care of their employees so that the employees take care of the businesses. There are full benefits for the full-time employees including a 401K match and benefits for part-time depending on the length of service. They also take care of the community with support of local organizations sponsorships. Not all the opportunities have worked out (their restaurant Cibo closed) and there have been missed ones (like the former Dunning McNair property) but they now have 5 properties in Swissvale. While competitors, including the new Get-Go, have come and gone, the DeFlavios are not done looking for opportunities in the area. The success of the businesses and maintaining jobs depends on drawing in the neighbors and further reach of other customers to “keep small businesses thriving.” Dino notes that the “Bakery Square influx of people find Frick Park and then Regent Square.” And that is one of the entrances to the EastShore.